There are some things in life, that have to be seen to be believed. 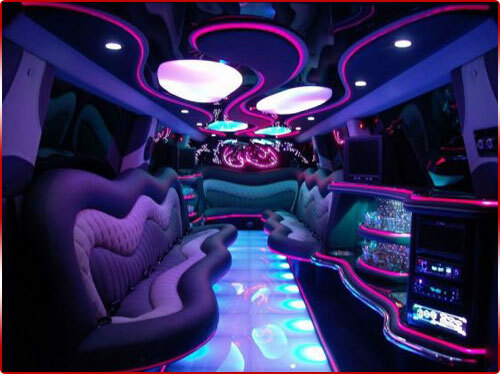 At Pink Hummer Limo Hire we are constantly striving to stay one step ahead of the competition. 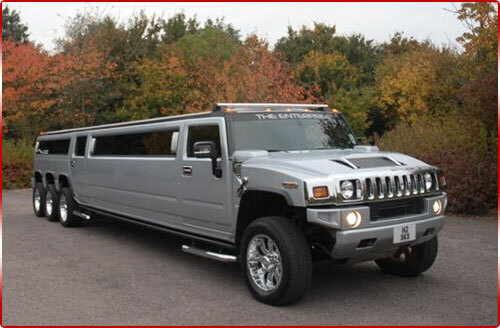 We feel that we have really raised our game this time, by adding the Midlands first Triple Axle Hummer Limousine. This vehicle is simply the King of all Hummer limousines. All of our limousines are magnificent, but the triple axle Hummer takes things to a whole new level, measuring in at an amazing 42 feet in length! Custom built in America, to our demanding specifications, this is a formidable vehicle to witness. By stretching a traditional Humvee to a bewildering 42 feet, has meant that the chassis has been engineered to accommodate three axles, which enables the limo to safely handle the demands of the extra payload. Not only does the Triple Axle Hummer limousine boast a bewildering length of 42 feet, we have added 22” chrome alloys to each of the 8 wheels, a dazzling chromed out grill and amazing gull wing doors, to really make an impression when you exit the limousine. If the exterior of the vehicle leaves you feeling dumbfounded, then the interior will really leave you feeling equally astounded. The inside of the triple axle Hummer packs a heavy punch, incorporating a mini-bar and 2 VIP lounges, complete with 6 bottles of complimentary champagne. The affluent leather seating competently accommodates 16 people, who can sit back and relax, by watching their favourite movie on the 4 flat screen televisions and DVD player. If you enjoy your music loud, the level 5 CD stereo sound system has been custom designed with an amazing, ear bursting 12 speakers to help get the party going. Another eye popping feature of the triple axle Hummer is the disco flooring and ceiling, helping to transform the limousine into your very own, mobile disco on wheels. So if you are planning a special occasion and looking for the X-factor, the Triple Axle Hummer limousine is a sure bet. Guaranteed to leave you and your party feeling blown away and the competition left bringing up the rear. If you have any questions regarding hiring the triple axle Hummer, then please do not hesitate to call one of our friendly team or alternatively, use the contact form and we will get back to you as soon as possible.